At Copperloy, we pride ourselves on our ability to successfully complete custom design, manufacturing and fabrication projects for our customers. Being able to solve a daunting problem or meet a previously unmatched need is what the Copperloy team is all about. 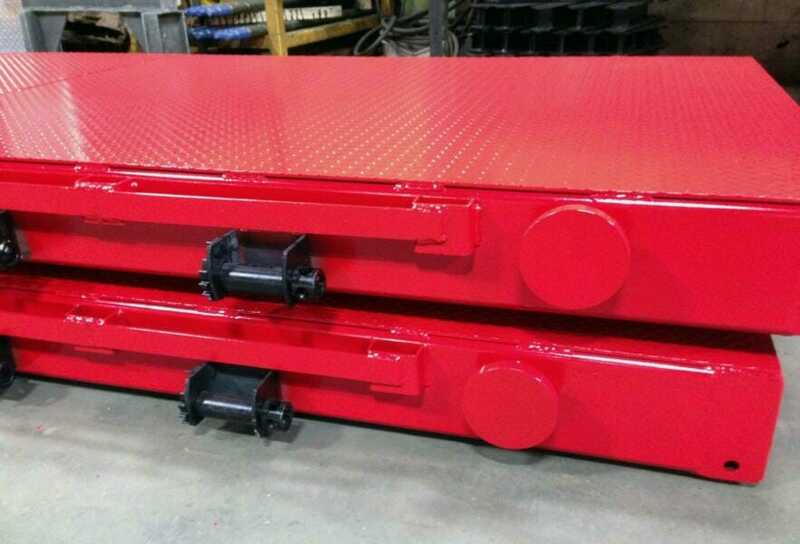 Recently, we were able to produce yet another project for custom loading dock equipment / yard ramp, this time for Stanek Netting Company. Stanek Netting Company is a textile manufacturer, and they came to us with custom specifications for a heavy duty mobile yard ramp. At their facility, they utilize a fork lift which on its own already weighs over 24,000 lbs. Consider that this is more than many lesser yard ramps are able to support already. Clearly, Stanek needed a serious upgrade, and Copperloy stepped up to the plate. On top of the fork lift, they carry loads which range from 6,000 to 10,000 lbs. This creates a need to accommodate a cumulative capacity of close to 35,000 lbs, and that’s what the Copperloy team was able to deliver. We produced our first-ever 35,000 lb. capacity mobile yard ramp for Stanek. The ramp is 36 feet long, 84 inches wide, and features a height range of 38 to 65 inches. This is most similar to our existing 30,000 lb. capacity ramp, however, we had not yet ever produced a 35,000 lb. capacity model. 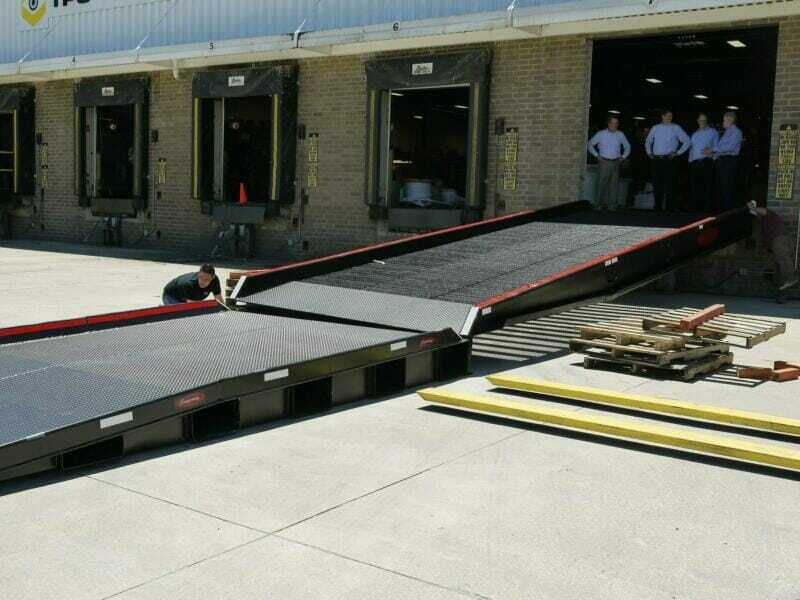 The ramp was made with A572-50 high strength steel with a 50,000 lb. minimum yield, one of the strongest materials in the industry. It will hold up to the daily demands that Stanek has, and as with all Copperloy material handling equipment, it’s built to last. 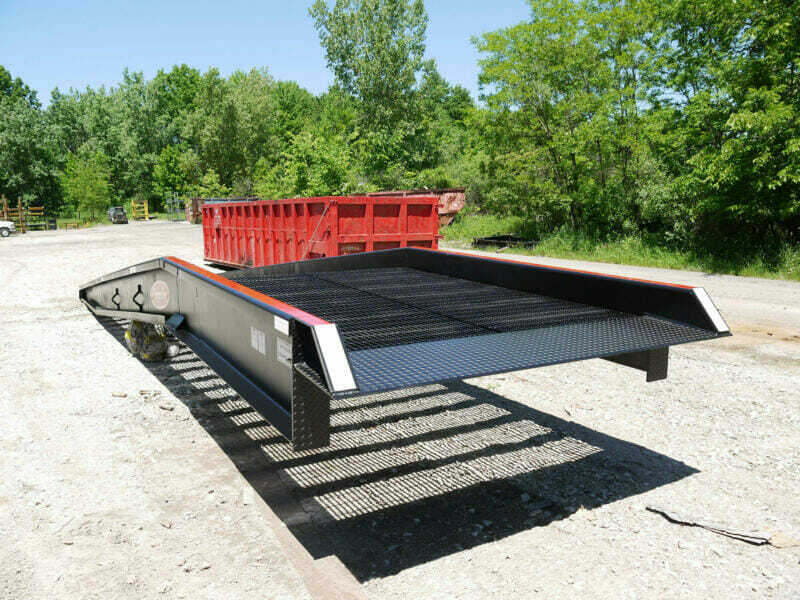 It also features all of the great safety features and components that our typical yard ramp offers; making it the best possible solution. 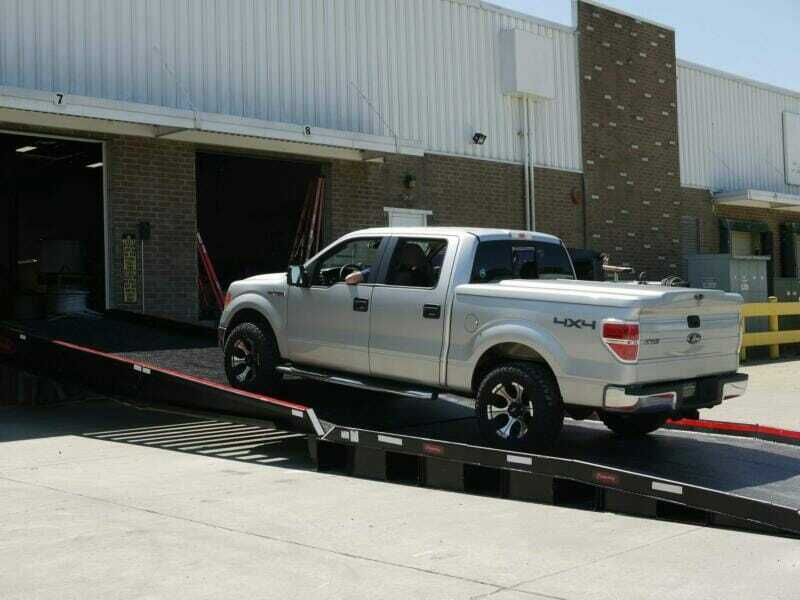 Stanek’s new yard ramp is heavy duty, custom-made, safe, long-lasting, and all from Copperloy. Our expert in-house engineering team can handle any challenge or problem you’re facing. With our state of the art equipment and 70,000 sq. 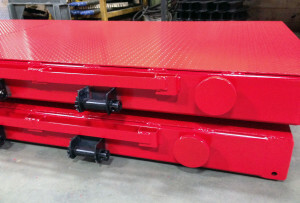 ft. facility, we’ll design and fabricate a solution that meet and exceeds your expectations. Everything we make is proudly made in the USA, and we have more than 60 years of experience helping our customers complete their own jobs more efficiently and effectively. Call our team directly at 800-321-4968 with any questions or to tell us more about the unique specifications you have for an upcoming project.